Operations at the Museum include educational programs, new exhibits, workshops, community events, publications, buildings and grounds maintenance, preservation, presentations, collections and acquisitions, technology, utility bills, and every other detail you might think of. Your donation to operations allows us to put the money where it is most needed to run the Museum properties on a daily basis. During these challenging economic times, we are grateful for any amount you can give. All donations to the Museum are fully tax-deductible as we are a 501(c)(3) non-profit organization. Thank you for your consideration. The Museum Properties and Historic Downtown Hannibal are kept safe and dry behind flood gates and levees. 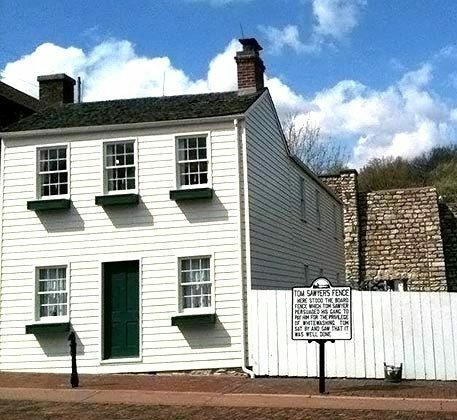 The Mark Twain Boyhood Home and Museum Properties are open year-round, except on major Holidays.